This letter doesn’t come as much of a surprise since we’ve had plenty of conversations concerning this subject with Swype ourselves, but this list is as good as it gets for guidelines as to how they want their keyboard app to be treated throughout our enormous community. Overall, Swype wants to embrace the massive amount of developers that Android has, as long as they are developing for a phone that would normally ship with Swype on it, of course. And that’s really what their guidelines come down to; you can develop for and skin Swype all over the place as long as the version matches the one that shipped with the phone originally. There shouldn’t be unlocking of the beta program version and no one should be stealing pre-loaded versions and including them in say, HTC devices, or they will be in violation. Check out their letter to XDA after the break. While we at Swype are obligated to protect our intellectual property, we also feel that the enthusiast community is valuable to the long-term success of our business. With that in mind we’d like to offer some rules for posting content related to Swype here on the XDA-developers forum. Any other use of Swype that infringes any third party copyrights or other intellectual property rights or violating any third party terms of service. The use of MetaMorph(R) to modify graphical elements in any licensed installation of Swype. Thank you for your understanding and cooperation in making sure our intellectual property and that of third parties is protected, while still allowing those who love to customize their devices in such awesome ways the liberty to do so. 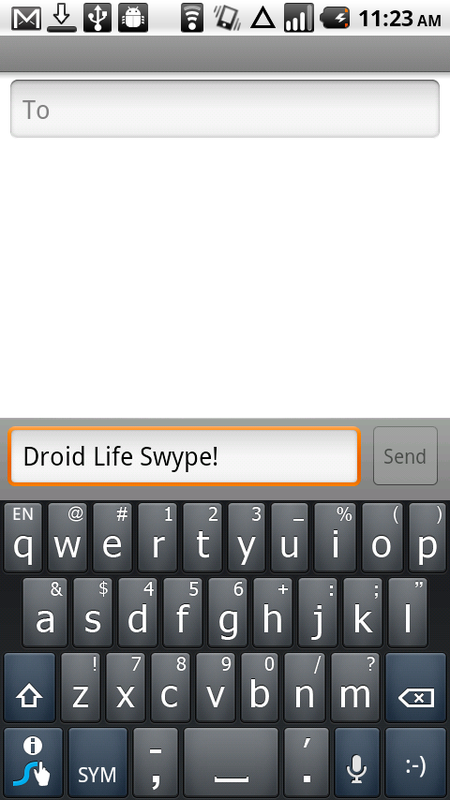 Swype reserves all of its rights. All make sense? I know this isn’t a green light for everyone to run out and hack the heck out of Swype, but at least it shows that they are willing to work with our hacking crowd. That’s more than a lot of application companies can say.